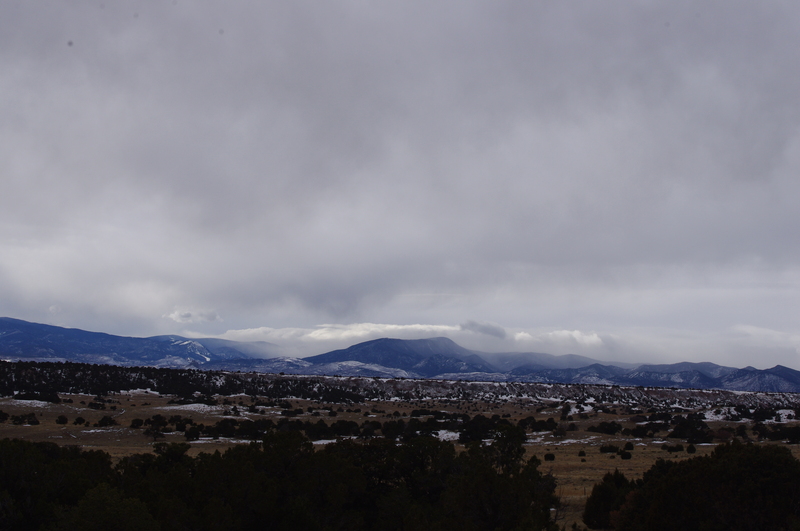 After a few nice sunny days, we’re having a cloudy one today, with snow expected tomorrow morning. I am happy to report our first ‘winter’ electric bill was really not bad, less than we ever expected. This passive solar heating is definitely doing an excellent job of keeping us warm and happy! It has been interesting to study and learn more about the weather patterns down here. 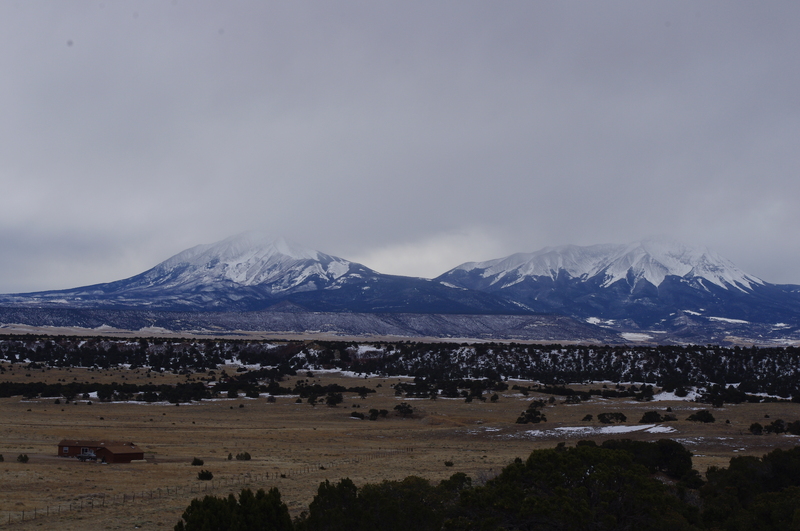 The Sangre de Cristo mountains south and west of us, are the best predictor of snow storms coming this way. They almost always come from that way. When we see a storm up in those mountains, there’s an excellent chance we’ll also be snowing here soon. I just released a new book about what we went through in the past two years, packing up our life in suburbia, moving to rural Colorado, and starting a whole new life. Want to learn more about this move from busy, noisy Fort Collins to this place of silence and great weather watching? Go here! And please follow us on TWITTER! ← Turn This Resolution into a Revelation! Thanks Mary! The good news is I’ve been blogging about all this forever, so I have lots of material to choose from! It would be beneficial for many people looking for an alternative retirement location and solar is getting very popular. I just installed a new heat pump and expected a much reduced first bill, but was disappointed. I’m sure it hasn’t been easy, but you were very wish to follow your heart to your new beautiful location. I am single without a partner so for me, personally, I would read your book because I enjoy what and how you write. I’ve followed your blog for awhile now and anxiously await the beautiful photos you so kindly share. I’m even coloring now….see what an influence you have! Thanks so much for all of your lovely feedback! You guys make it all worth while for me.